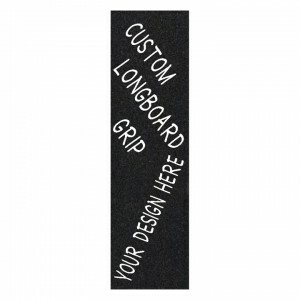 The Downhill Slide has been rated a top quality longboard ready for your custom graphics. One of or most popular shapes this board has been made to take any kind of riding style and is ready for you to take your next ride down the hill. 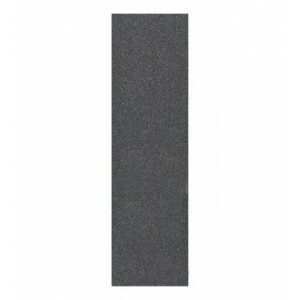 With a Taco style concave this deck has perfect pop and enough dish to keep your feet in place. Top riders tested this shape and gave it the stamp of approval for the hardest riding conditions. Comes standard with 7 ply hard rock maple we do offer 8 ply with bulk order of 10 or more with a longer lead time for shipping. This board is strong enough for 300 lb person to keep it going for years. This Slide is our top sellers with a great all-around feel for the street. Will work great for fast downhill slides or a freeride to the local store. 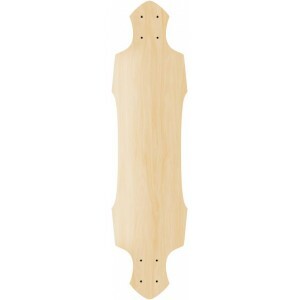 With the wood cut away at the nose and tail to elimate any wheel bite you can carve deeper and turn harder than the standard longboard. Stiff enough for the hardest riders even with the 39" Length this board will keep you pushing for years to come. 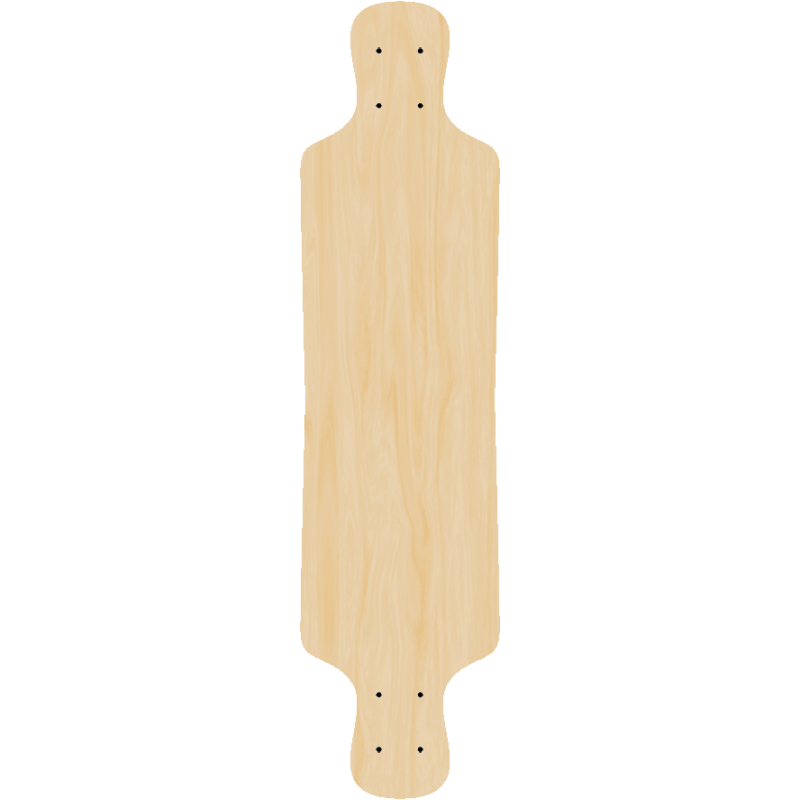 We suggest using reverse kingpin trucks and some 71 mm soft longboard wheels package for a smooth ride. 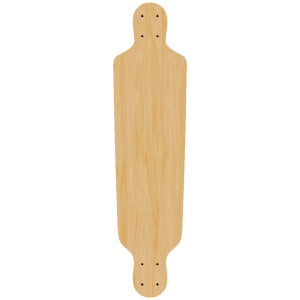 40.5" Long10" WideTaped down Glider longboard is great for a directional cutaway Longboard sha..